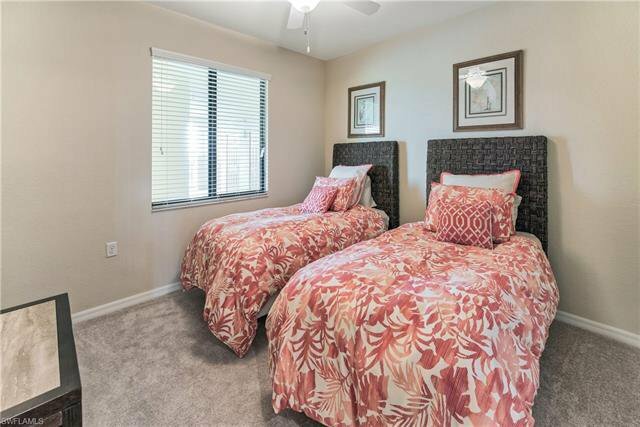 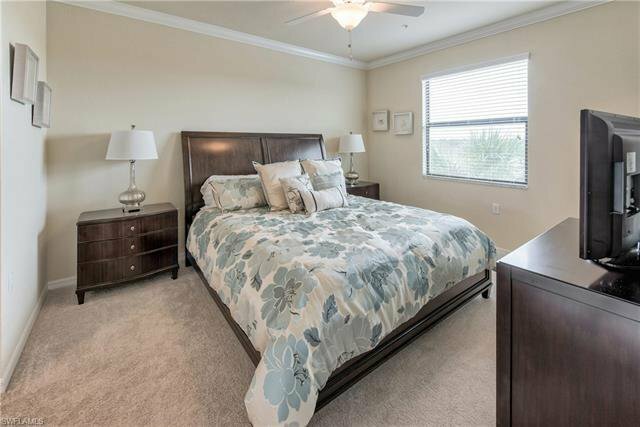 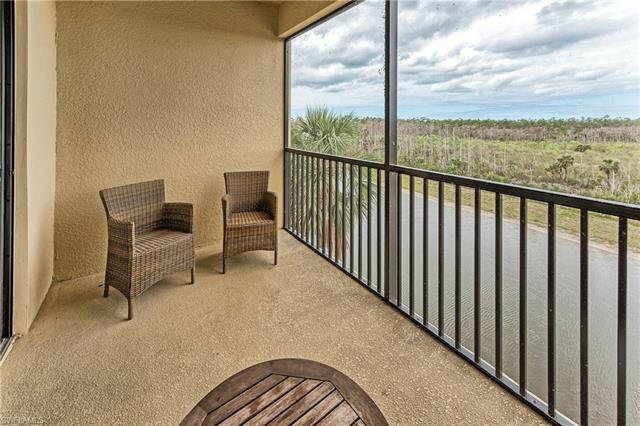 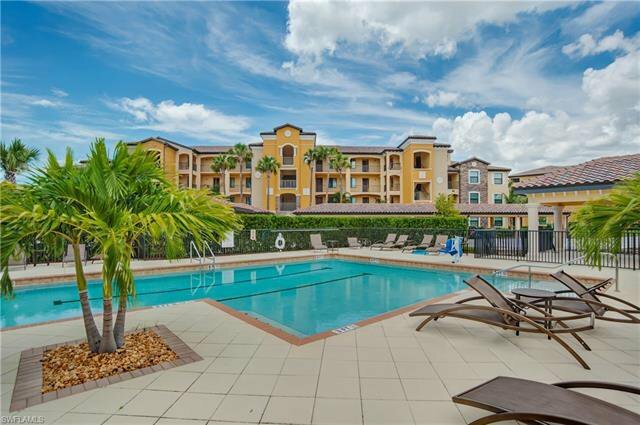 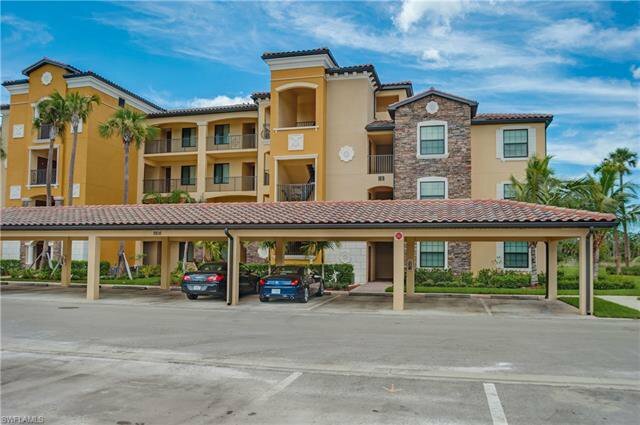 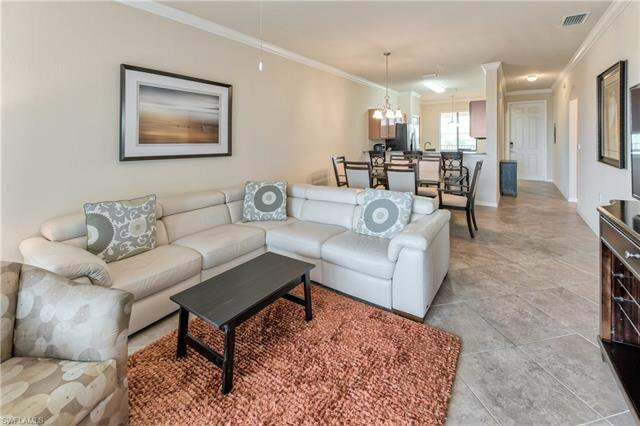 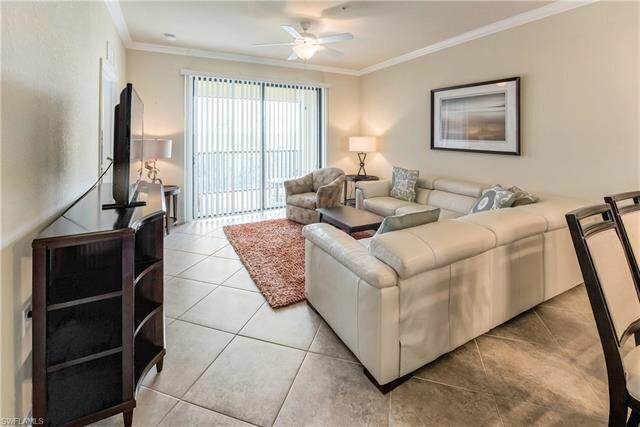 This sought after top floor condo with TPC golf included is priced to sell. 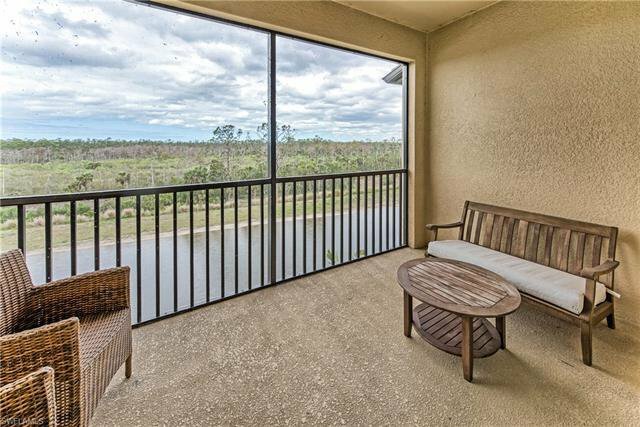 Serene west facing lake view. 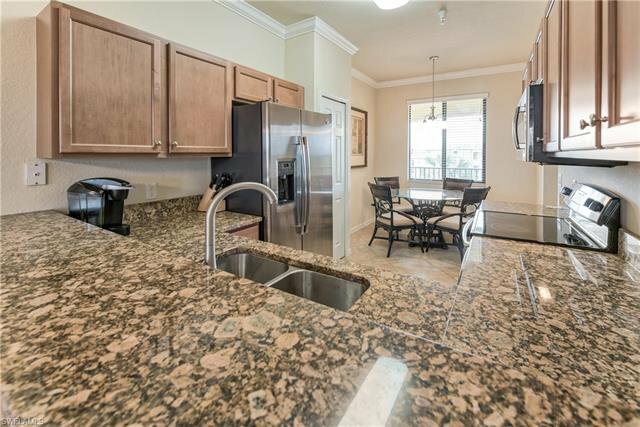 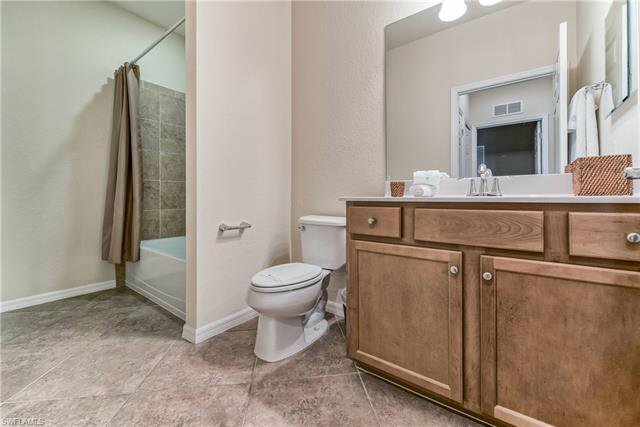 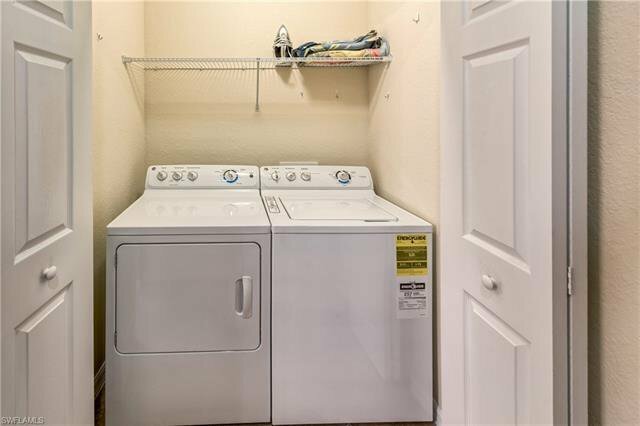 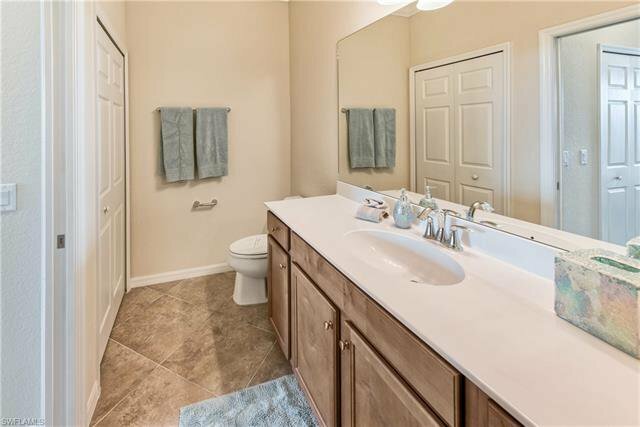 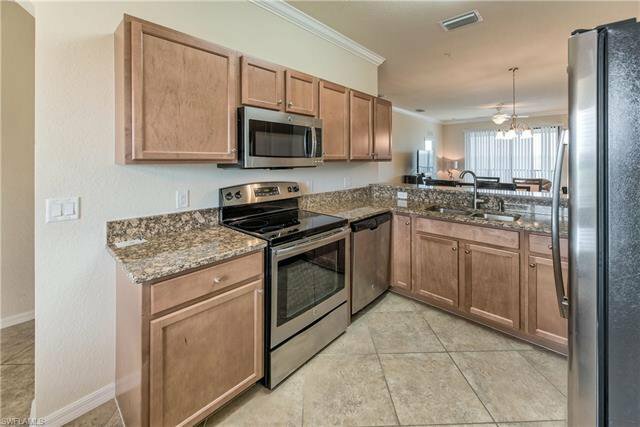 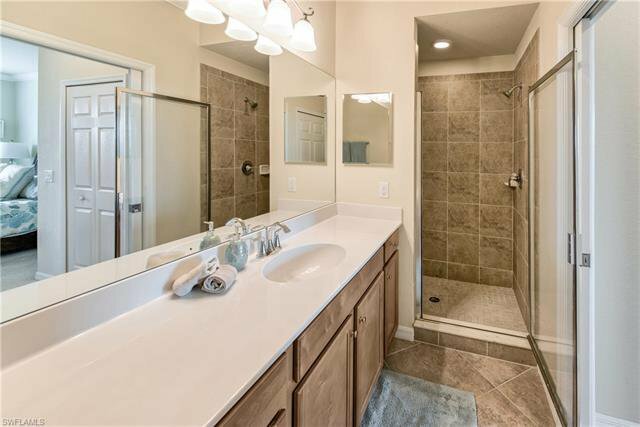 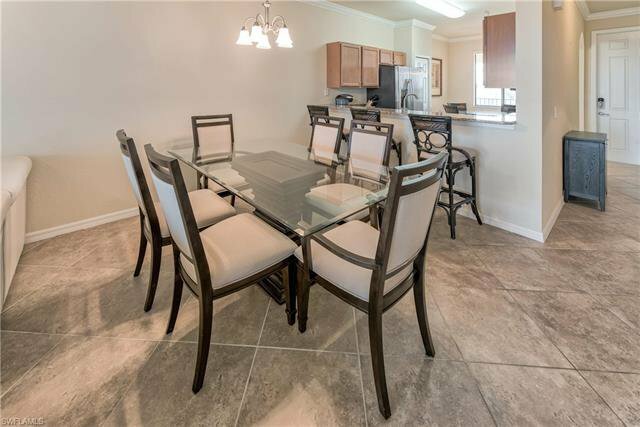 Features include tile flooring, granite counter tops, stainless steel appliances, impact glass and more. 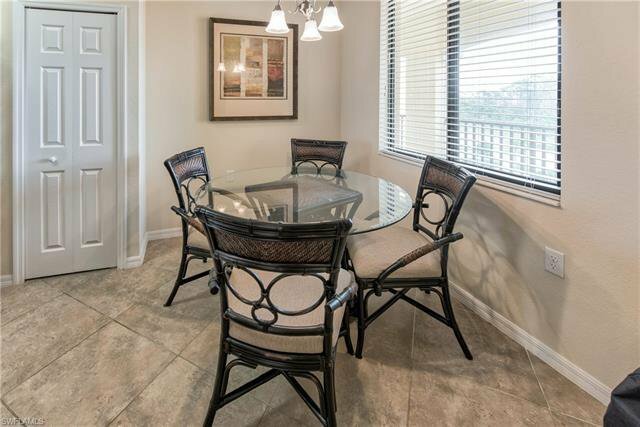 Offered turnkey furnished. 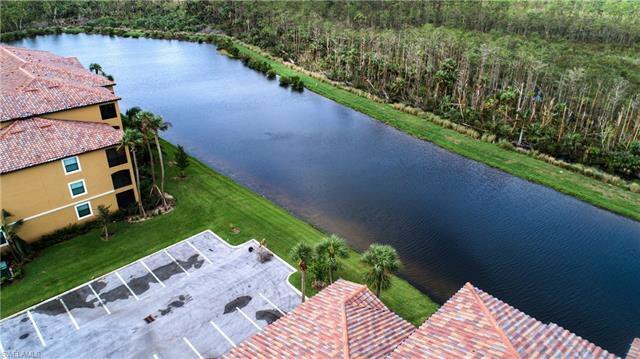 Walking distance to the new 55,000 square foot clubhouse. 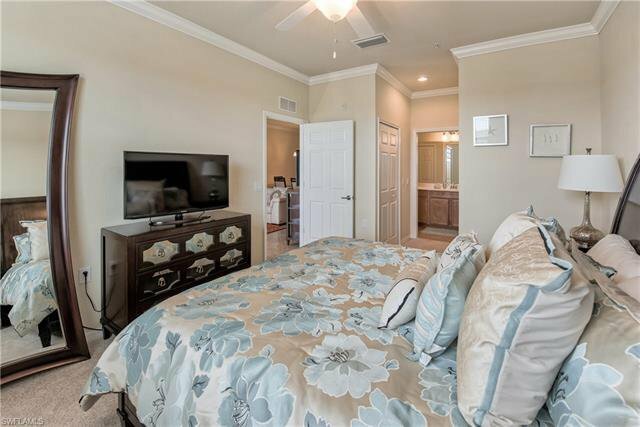 Amenities include tennis, beach area, resort-style pool, lap pool, hot tub, pickle ball, fire pits, state-of-the-art fitness center, and bocce ball. 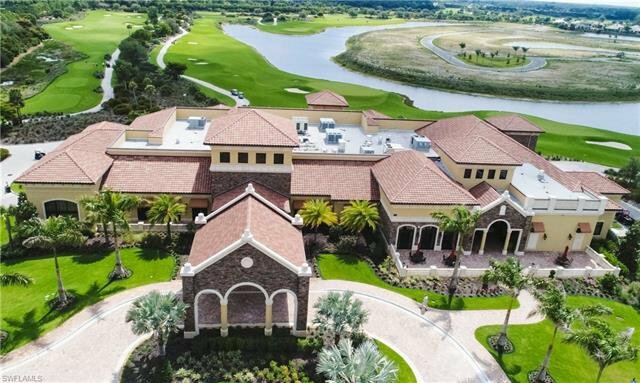 Golf membership includes Passport Privileges with club benefits throughout the TPC Network. 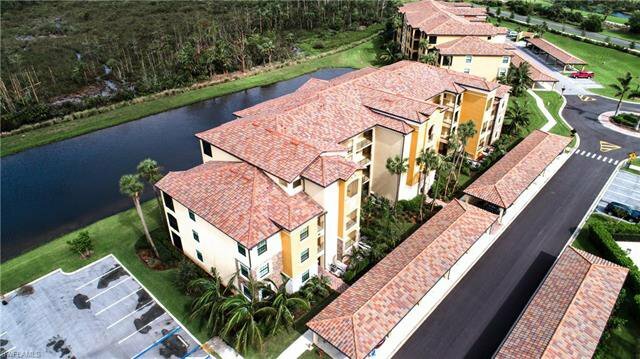 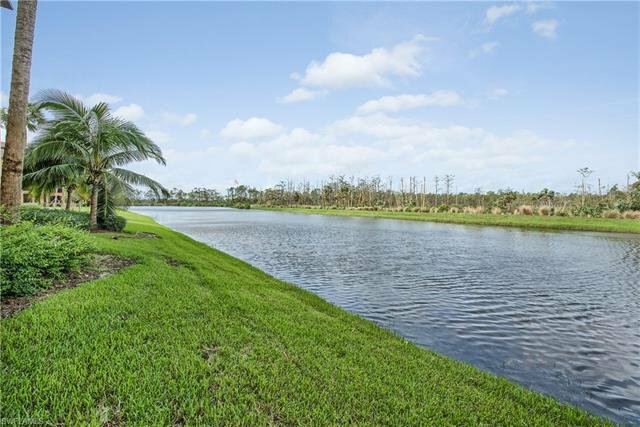 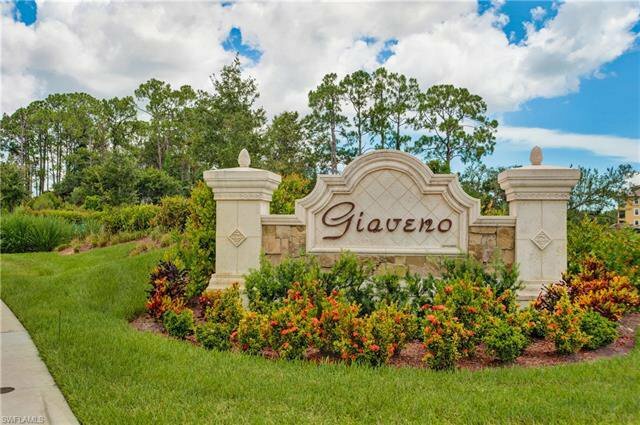 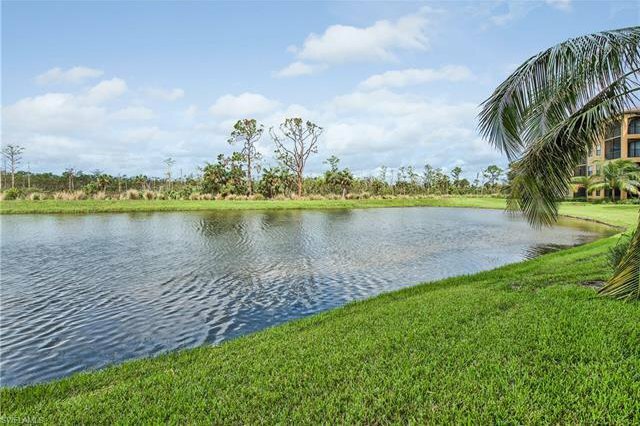 Treviso Bay is "one of a kind" and minutes to fabulous Naples beaches, Marco beaches, and downtown Naples.